Gentle post-natal yoga classes include movement and stretching support your transition into motherhood. 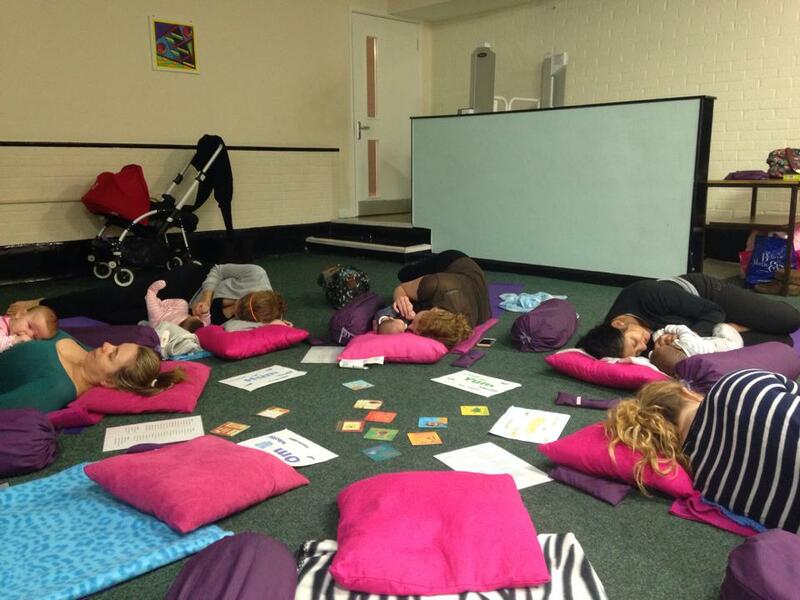 Yoga breathing and relaxation help to bring you back home to yourself, as you navigate the post-natal period. Private courses are run over six weeks. If you have a small group I would be pleased to arrange a course for you. I no longer run public post-natal classes. Courses can run at my garden Lodge in Borehamwood for up to four people, unless you’d prefer your own home and have space available. If you have a larger group of six plus, I would be happy to find a venue for the course. I will supply all mats and equipment. There is time after the physical yoga for relaxation and chat. You may have done yoga through your pregnancy, and you may have even practised before that. But trying to continue a yoga practise with a little one around can be daunting. That’s why I have created these post-natal yoga with baby classes. Do your yoga, with your baby present, and learn how you can integrate them into your practise if necessary. 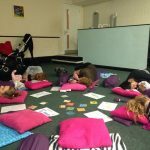 In these classes the emphasis is on you (mum) and your healing. It is said that it takes at least a year, post birth, to recover, but it’s probably longer than that. Both acceptance of your new body, post-pregnancy, and beginning to get back in touch with its’ new form (however subtle, or obvious) is supported during these classes. Bringing baby in these early months, when you need to get out, enables those without family nearby or childminders, to re-consider their own health. You remain in close contact with your baby, (either with them on the mat or in the pram sleeping, not in the car seat please) and can tend to their needs should they arise, without worrying about asking permission or upsetting the class flow. It’s totally fine to change a nappy or feed, or cuddle baby during class. It surely follows that stressed mum = stressed baby. Practise yoga with your baby close by, release any stress and begin to be in touch with your body in a respectful way post- birth. NEXT COURSE RUNNING TBC – please contact me to enquire.